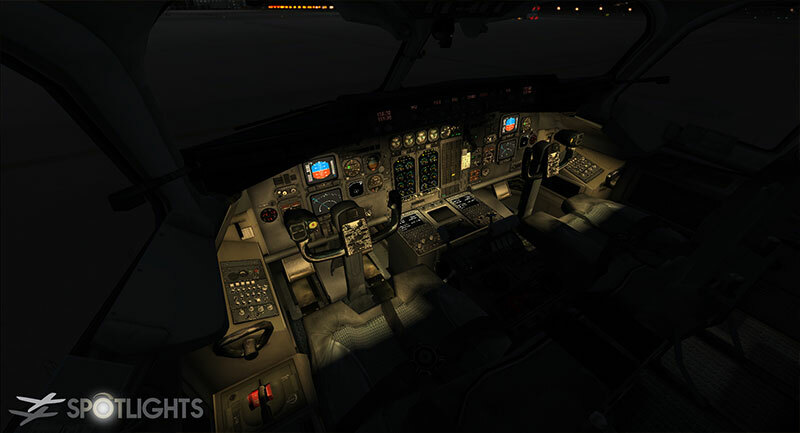 Spotlights – Flight Sim Labs, Ltd. 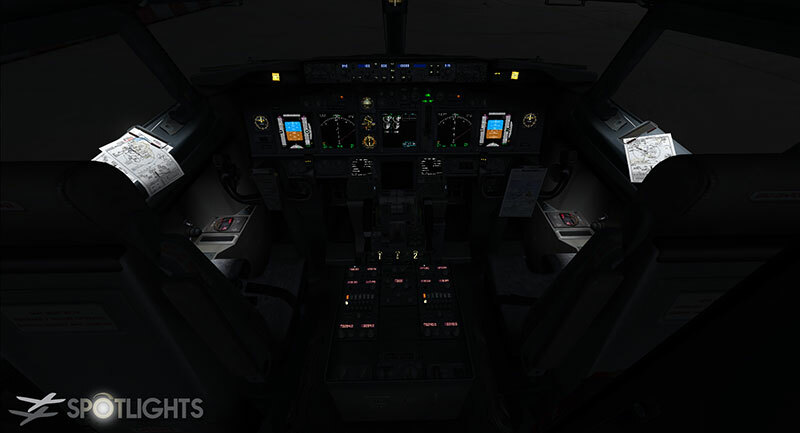 Flight Sim Labs, Ltd. announces the immediate availability of FSLSpotlights v2.0, a revolutionary new product for Prepar3D v4.1 and above, that allows the simmer to import and control up to 60 different fully three-dimensional dynamic spot lights in any existing aircraft virtual cockpit. 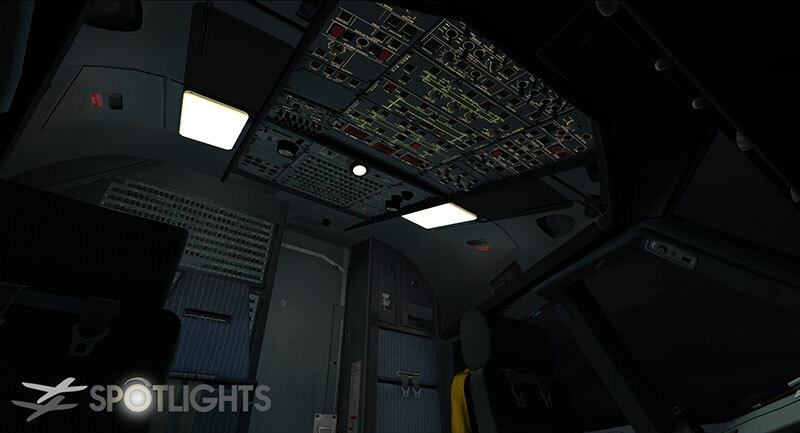 Each light can be used individually as a single lamp or put together in groups with a single on/off switch and a brightness regulator control. 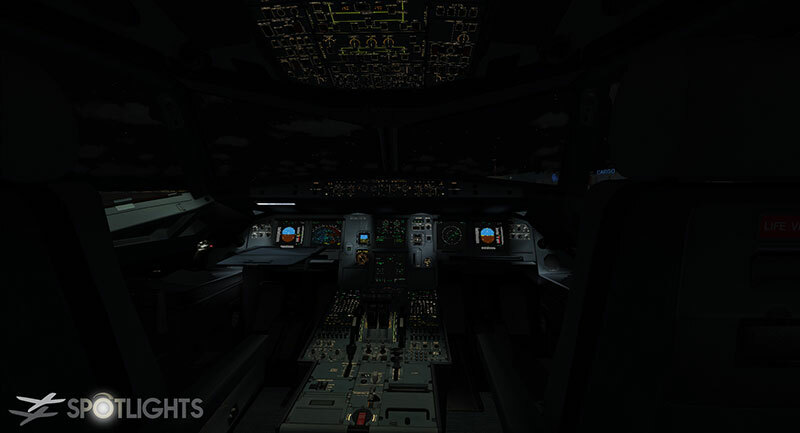 Light attributes (beam position, pitch, heading, angle, range, attenuation, color) can be modified and parameterized to provide the correct look and feel depending on desired light type: This way, the user can add narrow focused lights to shine on map holders or tray tables, series of smaller lamps for main panel flood lighting or wide dome lamps for turning a dark cockpit into a lit area. 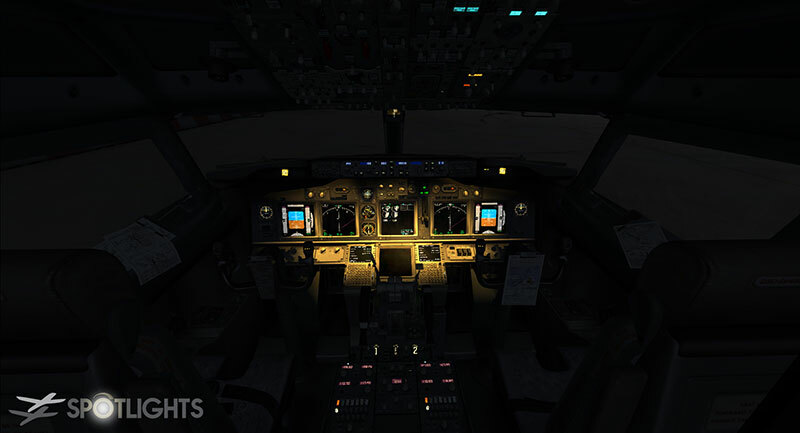 Each lamp holds its own attributes which can be tweaked using a configuration manager that runs as a separate process and communicates continuously with Prepar3D, giving the simmer an unlimited number of lighting configurations and setups. 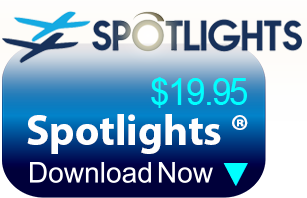 Beginning with v2.0.0.9, FSLSpotlights works 100% free of charge, as we changed the licensing to “Donationware”. Should you still wish to purchase a license (thank you!) 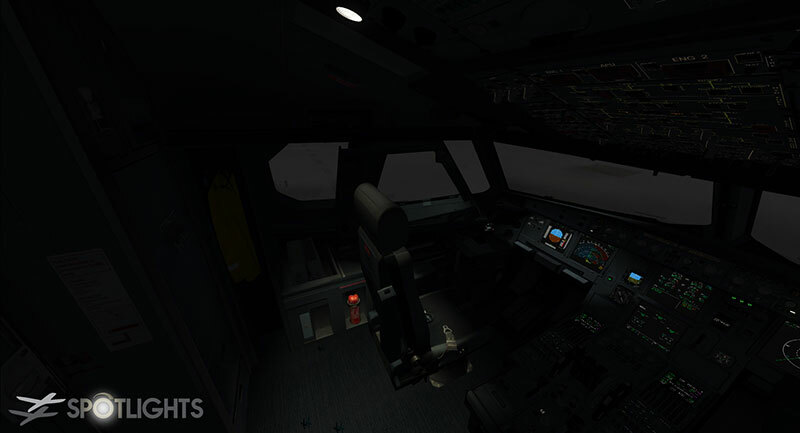 , you can do so directly from the Spotlights Manager under “Help – Registration”. Refer to the “Licensing” topic in the User Manual for more details. 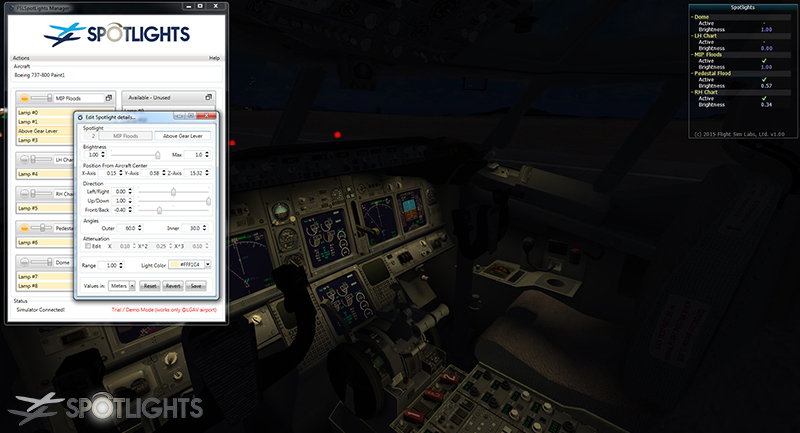 You will need Prepar3D v4.1 (or later) to install this product, which should run with administrator privileges. 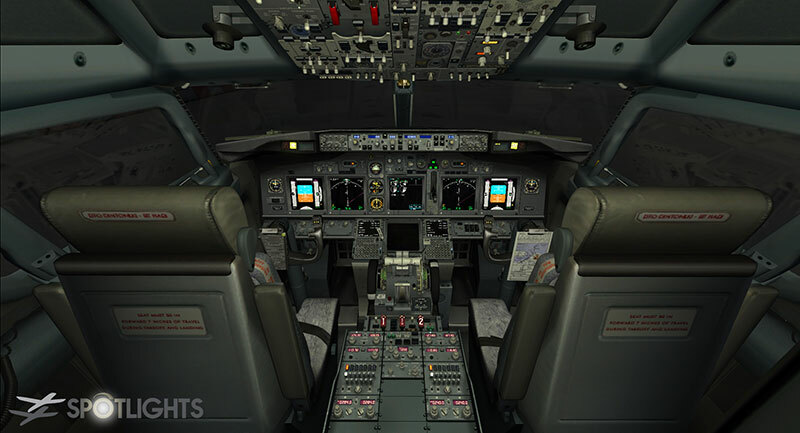 Flight Simulator X (all versions) and Prepar3D v3.4.X compatible versions are available as well for older platforms. 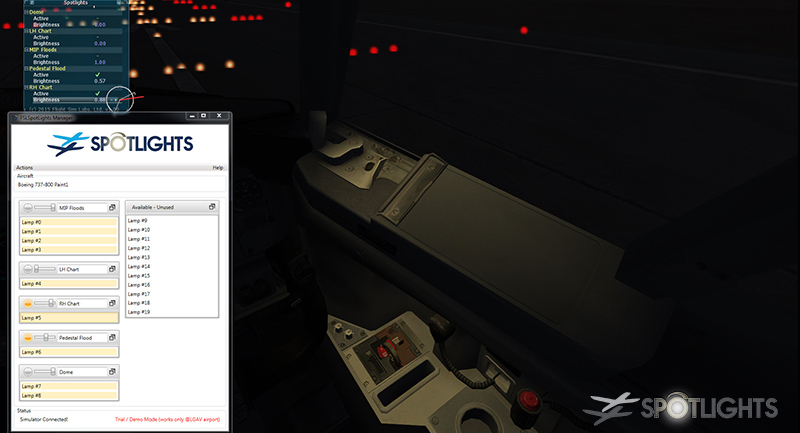 Activation of this product will take place automatically if your PC is connected to the Internet, or using a manual process if you wish to run the product offline on a separate computer. 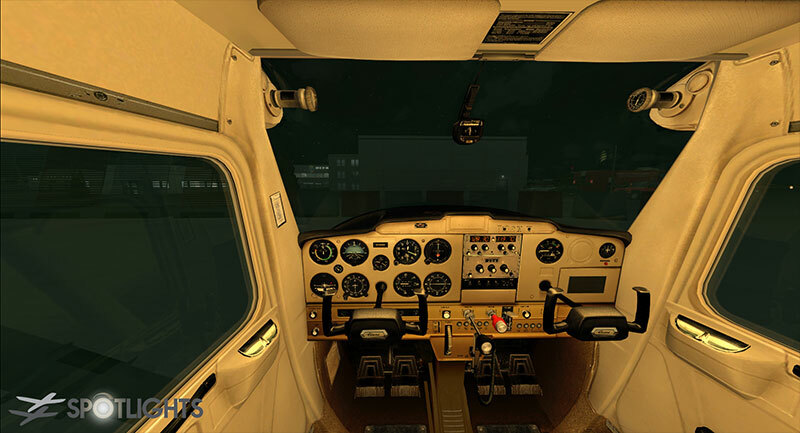 Minimum: Dual Core CPU, 4GB RAM, 512MB Graphics card running Windows 7 (32 or 64bit) Flight Simulator X (all versions) or Prepar3D (v 3.X 32-bit or v4.1 64-bit version). Recommended: Quad-Core or i7 Processor, 4GB RAM, 1024MB Graphics Card, Win10 64bit. 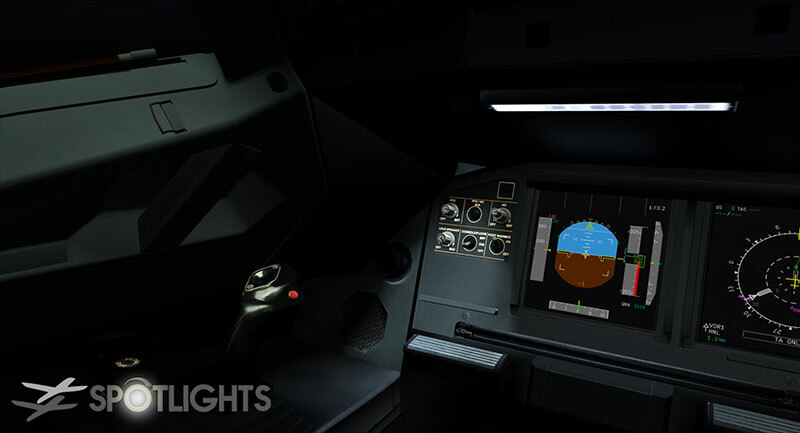 For an uninterrupted simming experience, the product also features a specially designed popup window that runs inside the simulator and allows direct control of the light group setup in real time, without annoying pauses or exiting into menu options. 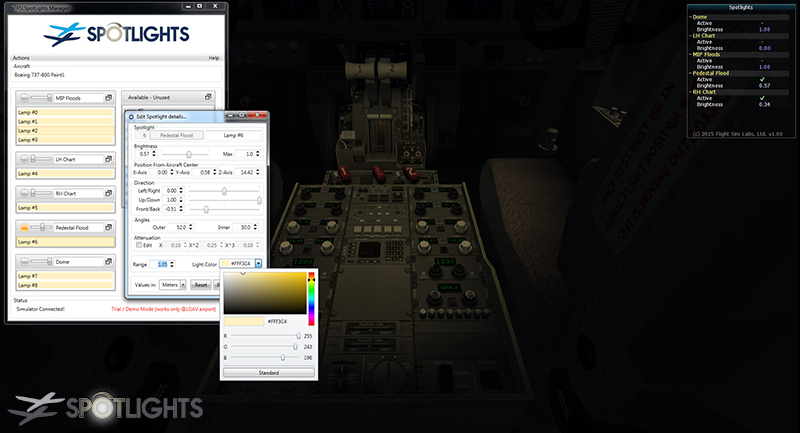 For third party add-on aircraft providers, FSLSpotlights will also feature an application programming interface (API) library to allow direct communication and control of individual lights or light groups from within their own products’ panels and gauges, thereby eliminating the need to use limited effects and additional textures that eat up valuable Virtual Address Space (VAS) memory. 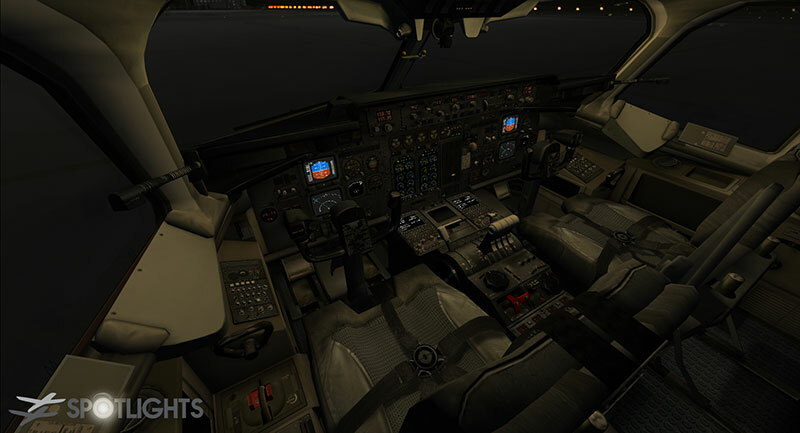 Flight Sim Labs will provide FSLSpotlights configuration files for many well-known aircraft add-ons, available for download together with the initial product release. 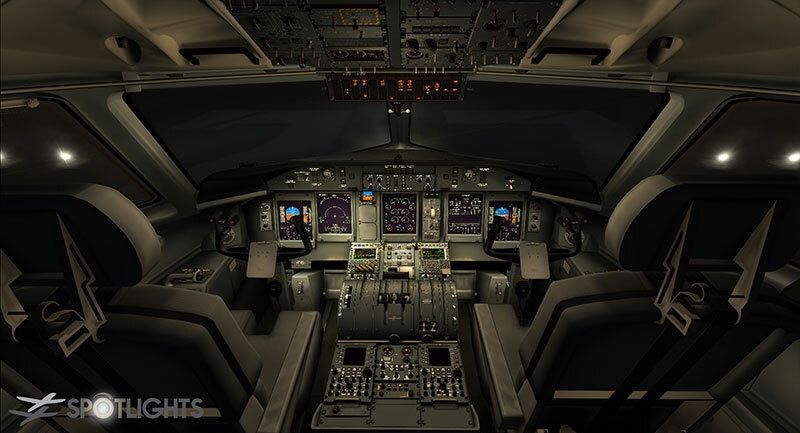 Licensed users will also be welcome to upload their own configuration files and share them in the dedicated FSLSpotlights forum download areas. 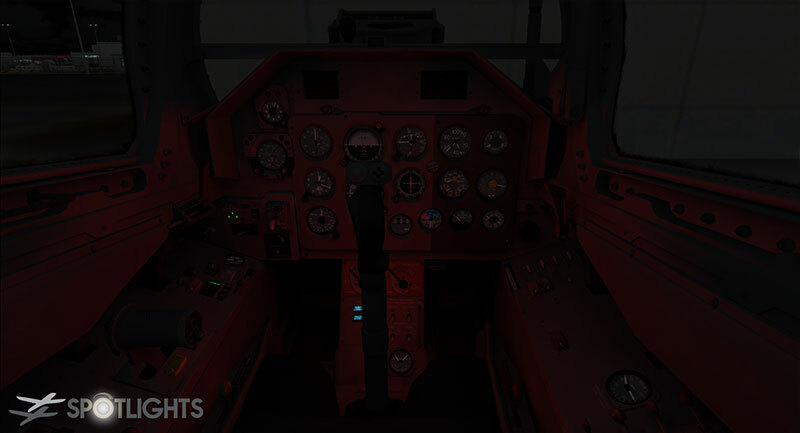 The FSLSpotlights will transform a static virtual cockpit into a dynamically lit three dimensional work place, bright when ramp operations call for it, but quickly dimmed down for takeoff and landing, exponentially increasing the simulation immersion factor.